Slice large zucchini lengthwise, spoon out the middle and save. Steam halves in covered pot. Separately, sauté fresh ground beef in ghee or butter, and add chopped zucchini flesh, onions, and garlic and season with salt, turmeric and oregano. 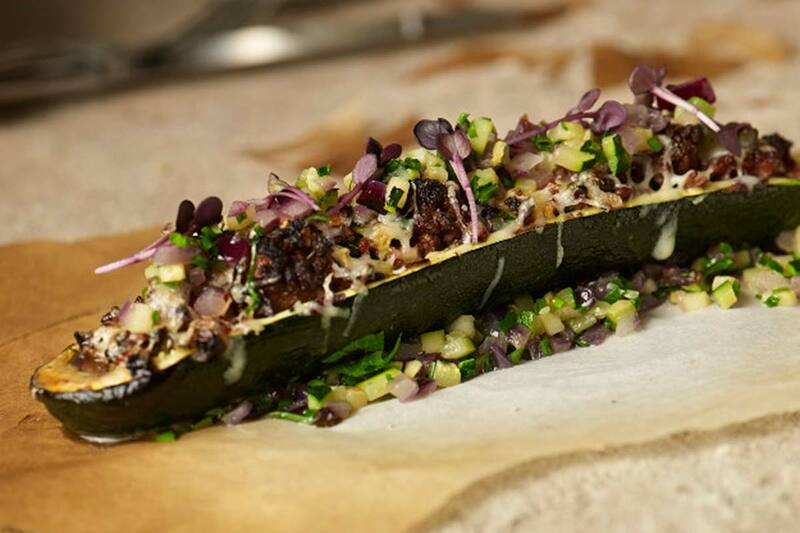 Fill cooked zucchini with meat and vegetables, top while hot with grated cheese. Cheese may be browned by a short period in hot 400° F oven.